A leading county fishmonger who this year celebrates 100 years in business has embraced the latest computer technology to modernise its operation. 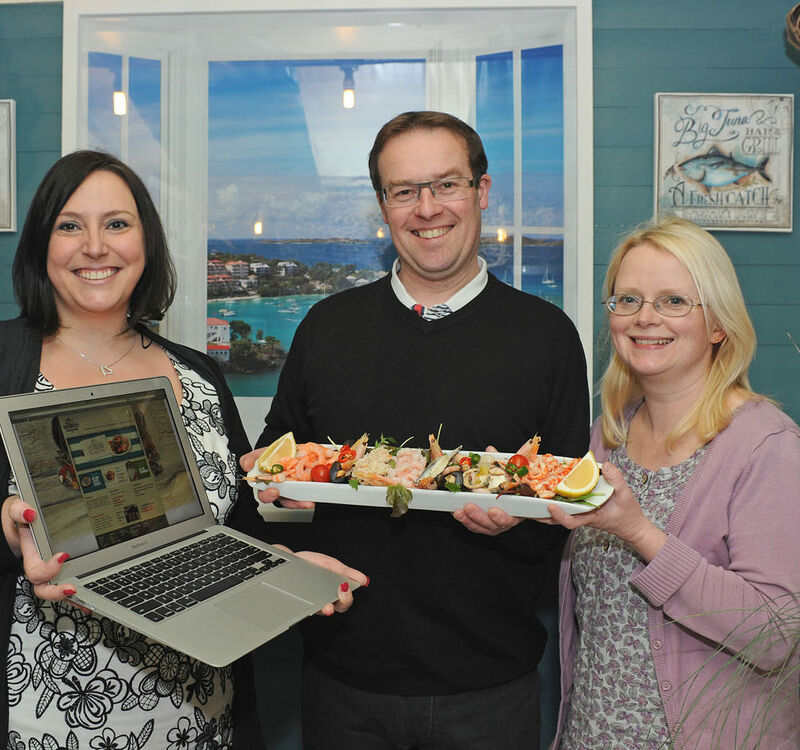 Barkworths Seafood, based in the Market Hall at Bellstone, in Shrewsbury, has joined forces with local premier marketing and design agency Source to create an online fish and seafood supply and information service. Company director Ian Cornall, said: “Having always been a very keen angler, many years ago as a young man of eighteen I walked into the fishmongers in Shrewsbury and asked for a job, luckily for me the then owners, John and Joyce Annis, who had two shops in the town, took me on and I haven’t looked back since. “I well remember as an apprentice struggling with heavy barrow loads of boxed fish up Mardol and on the odd occasion stumbling and sending a shoal of Herrings down the street, much to the amusement of passers by! “In 1996 I bought the company with my now wife Jenny and we have endeavoured to build the business ever since adding a much wider variety of products and services, including the recent launch of our St Pierre Restaurant here in the Market Hall, which is provoking a tremendous response. “To diversify we have been working with marketing specialists Source of Shrewsbury, and they have now launched our brand new website which has many special features including an up-to-date daily list of what fish is seasonal, available and in stock, together with advice, individual recipes and recommendations from myself to create the best results in the kitchen. “Looking to the future we have full content management on the website and can promote our daily ‘specials’ including Red Mullet, Turbot, Wild Bass and Black Bream, fresh from Cornwall, as well as our increasingly popular pre-pack seafood platters for parties and functions. Teresa Heath-Wareing, business development manager at Source added: “We are very excited to have developed this bespoke website for Ian and his team at Barkworths, as he now has the ideal opportunity to showcase the excellent services and products that he provides. Barkworths website can be seen at www.barkworths.co.uk while marketing & design company Source can be contacted on 01743 366336.